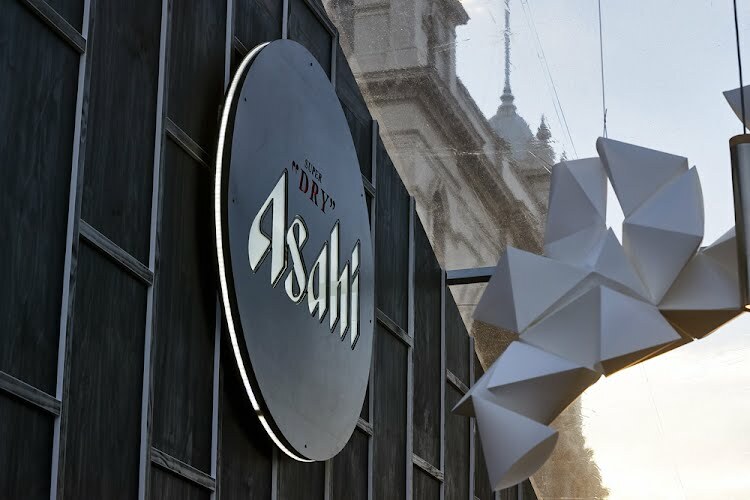 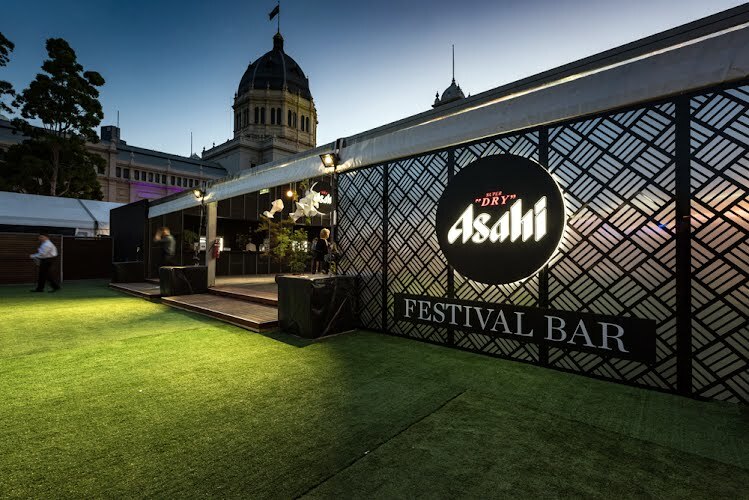 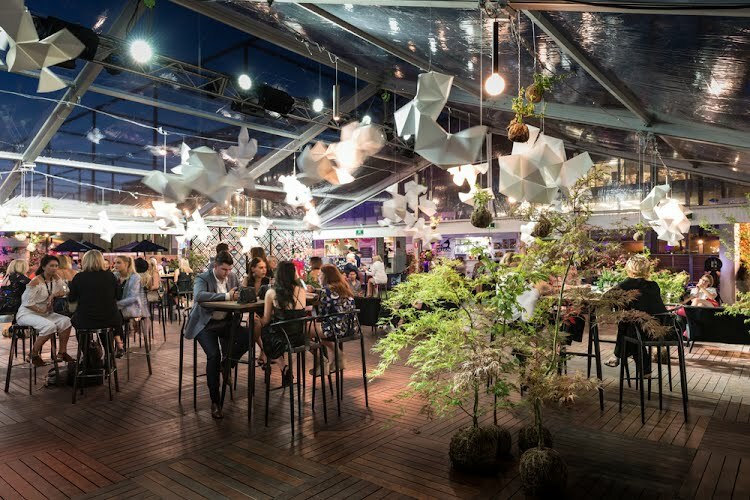 The 2017 Virgin Australia Melbourne Fashion Festival Bar in the Plaza was hosted by ASAHI and became a beacon for all to come and grab a drink, linger and enjoy the festival. 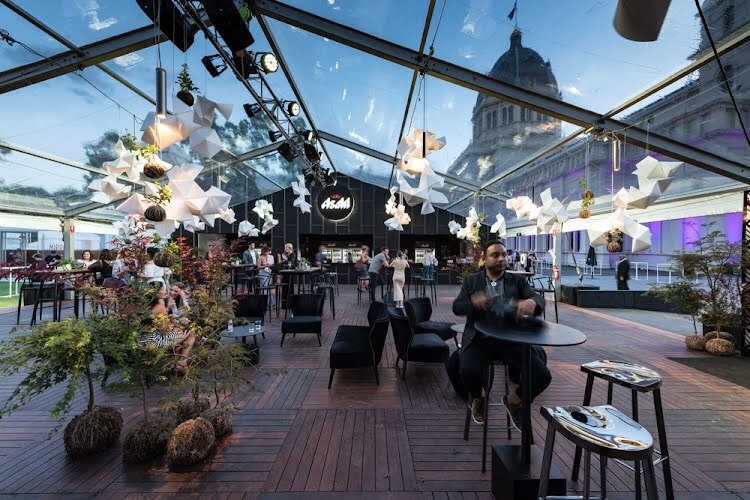 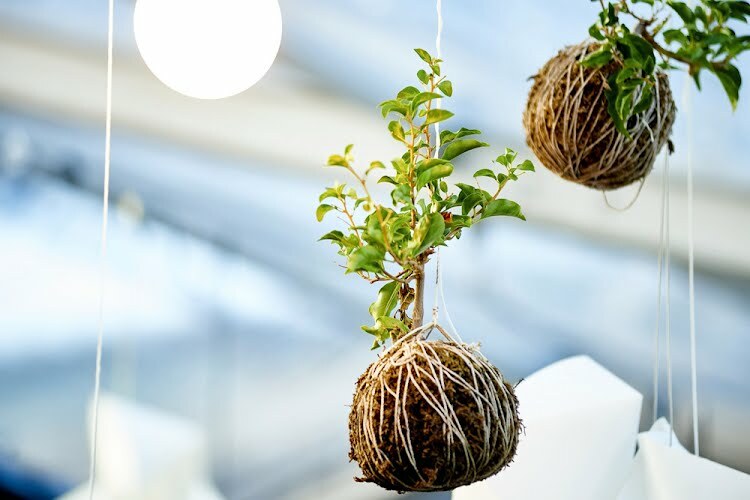 Moth sought to create a sleek but inclusive space filled with origami cloud formations floating overhead. 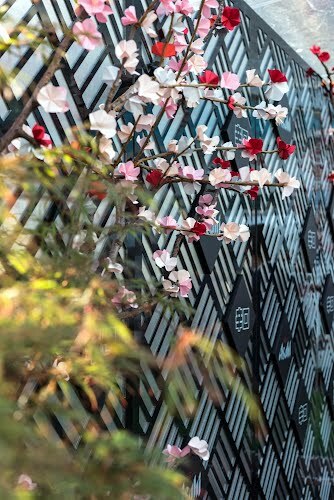 Custom gloss black screens create pattern throughout the marquee and along with 700 origami cherry blossoms became the photobooth backdrop. 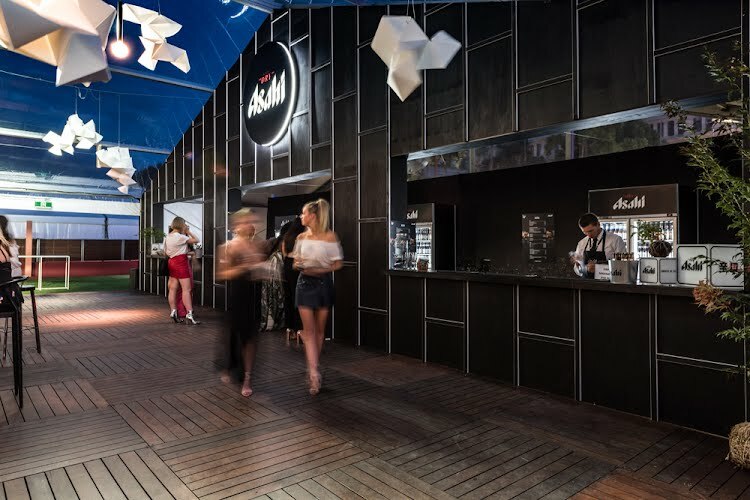 A stained black ply wall filled the marquee gable creating the bar which was embellished with white edged battens and large custom lightbox. 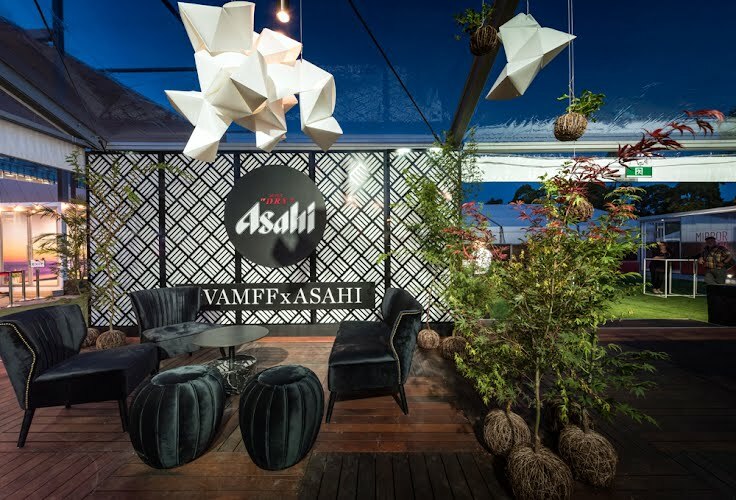 Green styling, bar tables and black velvet lounge furniture help to create ‘islands’ for gathering within the larger space. 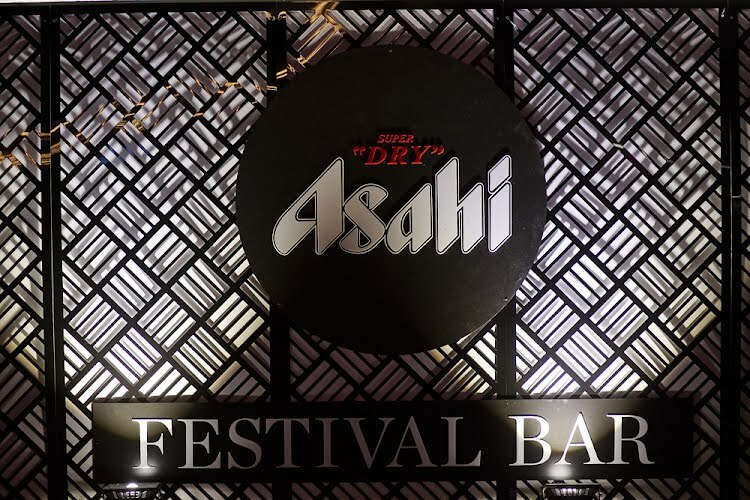 Moth also managed the activation including social media photography and bar staff uniforms. 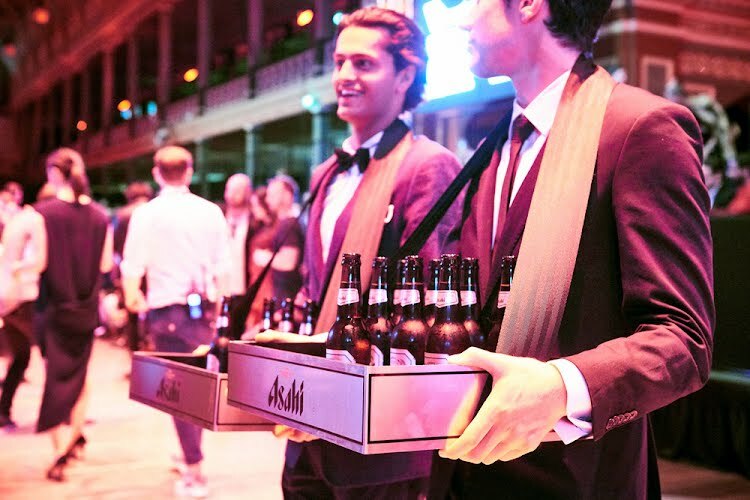 The ASAHI brand ambassadors were dressed from head to toe with sponsored suits and distributed beer from custom neck trays before the menswear runway show.